Denmark differs from Norway, Sweden and Finland by not yet having much of an active edtech ecosystem organization like we have found in the form of Oslo Edtech Cluster (and its various activities and government funding to stimulate Norwegian “edupreneuring”), EdTech Sweden, and the first Nordic edtech accelerator of xEDU in Helsinki and the many various edtech initiatives of the Finnish government and private industry. The initial list of Danish companies we had contained 54 companies, but we concluded that 22 companies seem to not meet the criteria we have set in the project (a 41% reduction, somewhat higher than the Finnish deletion percent, 34%)—at least based on information we currently have (and we will be happy to reinstate companies that provide us with information that show they are indeed “edtech” companies that are “live and kicking”). So the revised list of Danish edtech companies now contains 32 companies, or considerable smaller than what we have for our Norwegian and Swedish lists (and far fewer than the Finnish list). Clio Online — http://www.clioonline.dk/ — This leading Danish edtech company has also attracted interest of the publishers/media world, with the result that Bonnier Business Press has acquired the majority interest in Clio Online, apparently with the interest in leveraging Clio Online’s learning and education capabilities into the corporate arena. The last two bullets point to a topic that we hope to return to in the work of the Nordic EdTech Network project, namely what role Nordic (and other) media and publishing companies are likely to play in the future of Nordic edtech industry. These companies have the advantage of already having established roles and large resources targeting the ELT sector, and it should not be surprising that they now have significant, and growing, interest in small, innovative, and nimble edtech companies. Large US media and publishing companies have, at least so far, had a mixed record of success with edtech so it will be interesting to see if Nordic media and publishing companies can have more success on this front. As noted above, Finland—for a variety of reasons (some related to its international reputation of its educational system due to being ranked so high in the PISA evaluations for a number of years)—has long had a much greater focus and attention on the export and internationalization potential of the ELT sector than other Nordic countries. Although some of the Tekes and Sitra ELT-focused programs have now ended, the rise of xEDU as (so far) the only Nordic edtech accelerator (which now has formed a strategic partnership with Edtech Sweden and thereby raising its ambitions to tap the whole Nordic region) points to Finland continuing its strong efforts in the education and learning sector and in building a strong edtech sector. Since the focus and interest of our project is on edtech, we have—as noted earlier—trimmed our initial list of Finnish edtech companies significantly, but we still have 142 companies on our current list, or still nearly three times the numbers of companies on our updated lists for Norway and Sweden (but we know we are still missing many Swedish companies and hope to add missing companies shortly). Diesel21/EdVisto – https://www.f6s.com/edvisto — Collaborative platform for teachers and students to organize the learning in subject- or theme-based projects, where groups of students learn by co-creating, remixing and sharing video stories. LudoCraft Oy – http://www.ludocraft.com/ — Provides gamification and game development services for education, business or entertainment. Muuvit Health and Learning Oy – http://www.muuvit.com/ — Platform for creating customized programs for a healthy lifestyle and joy of learning. Scool Oy – http://scool.fi/ — Makes change happen through innovative education formats and by creating and seeking ambitious, validated education ideas. With a population of only about 325,000, compared to about 5-6 million for Norway, Finland and Denmark, and almost 10 million in Sweden, the list of Icelandic edtech companies will obviously be considerably shorter than those of its Nordic neighbors. And while attention and interest on edtech is reportedly growing in Iceland, so far no formal edtech ecosystem initiatives—like that of Oslo Edtech Cluster or Edtech Sweden—yet exists in Iceland (as in Denmark). But like its other Nordic countries, despite being a very small country, Iceland has given rise to a global gaming company, CCP, that created EVE Online and other popular online games, serving millions of users. 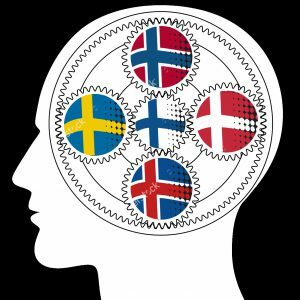 So being small does not mean you can’t produce world-class, global competitors in any given industry, so Iceland may surprise the world (just like its soccer team did in the recent European Championship!). Skema — http://www.skema.is/ — Focused on building problem solving and emotional skills, as well as being inducive to collaboration and innovation. Mimi Creations — http://www.mimibooks.is/english/ — Company specializes in the production and publishing of animated material to enhance and improve the development of speech and communication for all toddlers. Interest in edtech in Norway has been growing steadily, especially since the establishment of Oslo Edtech Cluster (located in Startup Lab at the University of Oslo). The cluster, led by Hege Tollerud, is organizing a variety of events and helping generate interest by the press in Norwegian edtech startups. And the significant success and rapid growth of companies like Kahoots! has helped generate interest and excitement in Norwegian edtech. The edtech industry also benefits from the growing interest in entrepreneurship and innovation in Norway (including growing amount of funding for startups), and the growing interest in catching up with Sweden and Finland which have led Norway in terms of number of startups and amount of early stage funding for startups. Intra-Nordic competition in edtech—like in sports—is healthy and good, but as knowledge and insight about the edtech industry and companies in each country grow, we will also hopefully see growing collaboration as well, and perhaps more cross-border mergers and acquisitions, another sign of a dynamic marketplace. WeWantToKnow— http://wewanttoknow.com/ — The company is creating intuitive and educational learning tools, including acclaimed math-focused product, Dragonbox. Creaza – http://www.creaza.com/ — The company has extensive experience in developing video-based products/tools for schools. Kikora – kikora.com – Next-generation learning tool for mathematics instruction, leveraging Web browsers. EdTech Foundry – edtechfoundry.no – a Startup factory for learning technology—working with and advising clients on next-generation digital learning technology. Inspera Assessment – http://www.inspera.com/ — Inspera Assessment support the entire assessment lifecycle and the assessment workflow for academic and administrative users. Sarepta Studio — http://www.sareptastudio.com – Game-based learning, mobile learning, simulations, game design, and 3d visualization for work environment and education. Stockholm is arguably the hottest startup environment in the Nordic region right now (A Norwegian entrepreneur said that comparing Swedish and Norwegian entrepreneurial environments were like comparing the British Premier League to the Norwegian soccer league! ), even though challenges and issues exist. Challenges include shortage and cost of housing for the growing number of entrepreneurs, especially in Stockholm, and need to find solutions (but similar, but perhaps less pressing, challenges exist in most Nordic and other European cities). In view of the vibrant entrepreneurial environment in Stockholm and other cities in Sweden, it is not surprising to see growing interest and activity in edtech, and a growing number of Swedish edtech startups gaining presence in the global market (similar to the Norwegian Kahoots! ), including some on the list shown below. The launch of Edtech Sweden (led by Jannie Jeppesen from Rektorsakademien Utveckling, and with Nils Carlberg working on an industry mapping project for Edtech Sweden), and its advocacy and promotion role—including helping getting edtech more attention among politicians and policy makers—has no doubt helped stimulate interest in Swedish edtech and in building a vibrant Swedish edtech community and ecosystem. Edtech Sweden helps organize events and conferences as well as competitions with awards for leading companies, all of which adds to the interest and excitement in the industry. Very recently, an announcement was made about the Finnish edtech accelerator xEDU (in Helsinki) forming a strategic partnership with Edtech Sweden. This agreement should produce mutual benefits, as xEdu will now tap into Edtech Sweden’s know-how on the Swedish market, both in terms of market implementation and its investor network. Sweden has a number of edtech companies in the phase of rapid scaling (into regional and global markets), so teaming up with Edtech Sweden will help xEDU get a larger number of strong growth candidate companies into its accelerator. The result will be more Swedish (and hopefully, later, other Nordic) edtech startups joining future cohorts at xEDU. This should strengthen the “competitive muscle” of these edtech players and improve their readiness to enter global edtech markets. The training and networking opportunities available via xEDU should also help strengthen Nordic edtech companies, not only in making stronger business plans, but also gaining greater confidence and presentation capabilities when facing demanding investors—including competing for potential venture funding in Silicon Valley (where most venture funding for edtech exists). Digilär — digilär.se – Company plans to be global leader in development of educational materials for elementary and secondary education. Furhat Robotics — furhatrobotics.com – The research intensive startup sees significant opportunities in using robotics in teaching and learning, aligning with growing interest in “maker movement” (and building things). Mathleaks — mathleaks.se – The company’s app enables faster and easier learning of mathematics, and aligns with textbook contents. Mawu AB — http://www.blixtjakten.se/ — The company takes a gamified approach to clarifying and visualizing learning activities, making the learning journey more enjoyable and engaging. Quirkbot — quirkbot.com – Quirkbot is developing technological tools and educational content to help schools bring the maker movement to their classrooms. 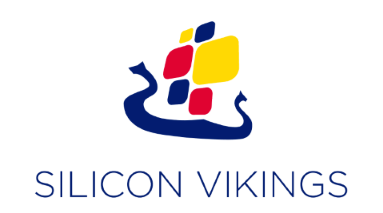 Skolon — https://www.skolon.com — Skolon is a unique gathering place and distribution platform for all types of educational tools created for a digital educational world both for teachers and students. In June, 2017, at the end of the Nordic EdTech Project, we will submit a final report that will contain our latest information and data, but even then make it clear that we can only provide a time-specific snapshot of the Nordic EdTech landscape. When we get the needed information that confirms that a company is indeed an edtech company, according to our criteria, we will add it to our list and also hope to add to our website company profiles designed to provide a snapshot that will be useful to investors. But it is our hope that others will continue our work after our project has been completed—including seeing growing ecosystem development like we are now seeing in Finland, Sweden and Norway, and will hopefully see soon in Denmark and Iceland—and update the information and data about the growing Nordic edtech industry. A growing need also exists for undertaking additional research on certain issues and trends—such as what we have seen EdSurge undertake in Silicon Valley over the last year. We are already in dialog with various academics across the Nordic region with strong (and growing) interest in edtech, and we hope they and others will start new research projects and encourage their students to do research on various issues and developments of the Nordic edtech ecosystem. Finally, we hope to see growing dialog and discussion—both in the Discussion Forum of our Nordic EdTech Network project website as well as in other fora (including conferences such as the World Learning Forum 2017, scheduled to take place in Kristiansand during June 7-9, 2017)—about current and future issues and activities, and that this dialog and discussion will continue and grow at future events that will focus on the emergent Nordic Edtech industry. Fantastic! Great work. Superb overview of the market segments and focus areas. All HE Ed Tech programs and teacher education programs should share this among the teachers and students. Looking forward to future collaboration with you Eilif.